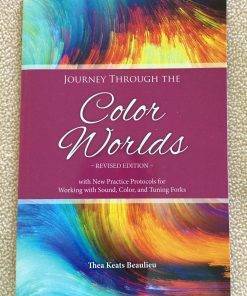 Moving with the Elements-This new pocketsize gem of a book by Thea Beaulieu inspiries hope, love, and movement recipes of the elements of nature, This book is for all ages and all stages. 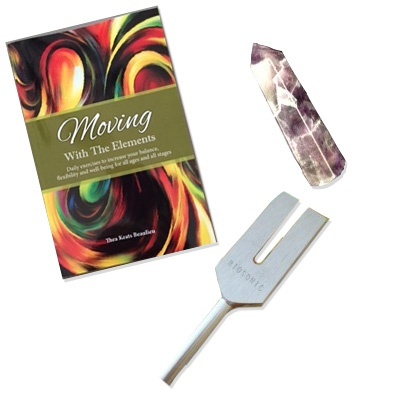 Add to this a Jupiter Crystal planetary tuning fork which creates the space in sound for luck, love, and abundance and jolliness for the new year. Amethyst crystal wand which symbolizes your connection to all everything surrounding you , spreading peace and joy to all. Hold a quartz crystal in one hand and the crystal tuning fork in your other hand. Gently tap the crystal fork on a crystal. Close your eyes and meditate on the sound as well as the feeling of the crystal in your hand. When working with another person, hold the crystal off the body with the point towards the area you want to energize. 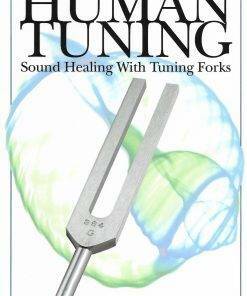 Gently tap the crystal with the tuning fork. 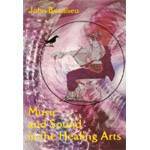 Let the sound move gently into the person’s energy field. 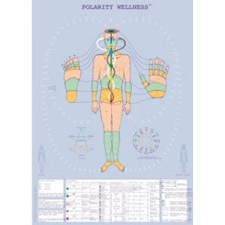 Visualize it with color and/or spinning in a positive direction. 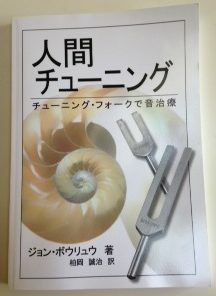 There are many possibilities for the Crystal Tuning Fork. Let your creativity and healing ability be your guide.